It’s not a simple matter creating an effective family from seventeen unrelated children and six adults of whom only one actually has children of her own. This is something only God can do. With Auntie Julie’s good cooking and balanced nutrition their bodies are healthy and strong, no longer showing the signs of malnutrition. As we teach them the bible lessons during devotions every evening their hearts and minds are being transformed and what comes out of their mouths is no longer shocking. Occasionally their expressions are inspiring. The fear behind their eyes has developed into confidence, strength and security as a result of the consistent unconditional love given to them by God through staff and sponsors. We all exclaim, “I can’t believe how much these children have changed and grown over these short three years.” When they first climbed into the van at their jjajjas, some of them had attended a bit of school, but only at schools of low standards. There’s not a singular standard by which all schools in Uganda are held accountable. Each school is independent. This creates a wide spectrum of standards for excellence. Now our kids are in a school of high standard, though they come from schools of low standards. When they first began school their performance and conduct was at the bottom. We had a great challenge before us. However now, after three years, the children from Kirabo Seeds are highly praised at this school. Nowadays, all the neighbors, teachers, and even the boda drivers know of our children as exemplary role models for the other children. I am not exaggerating! They have risen to the top as leaders. Peter and Angela have both been chosen as “head prefects” for the school. This is a British system so they choose a head boy and girl prefect in the same way a class president is chosen to represent the student body. We are parenting these children using the same methods that Craig and I found in the principles from the bible when we were learning to parent our own growing children. We haven’t created some new formula, we are simply applying the one written from the beginning of time for all of us to follow. It worked for our own five children raised in America, and now we can see it’s working for the seventeen children being raised in Uganda. We didn’t begin Kirabo Seeds to create some international psychological parenting experiment. We adopted Kira and followed God’s leading to engage in her culture so she could grow up knowing she was not necessarily “African American” but truly “African” and “American”. (That’s not even another blog post, that’s a book in itself. I don’t think I could handle that topic until she’s grown. Maybe she’s the one to write that story. I hope so. With the racial tension currently in our country I am intimidated to touch that topic.) Anyway, we sought to be involved in orphan care. 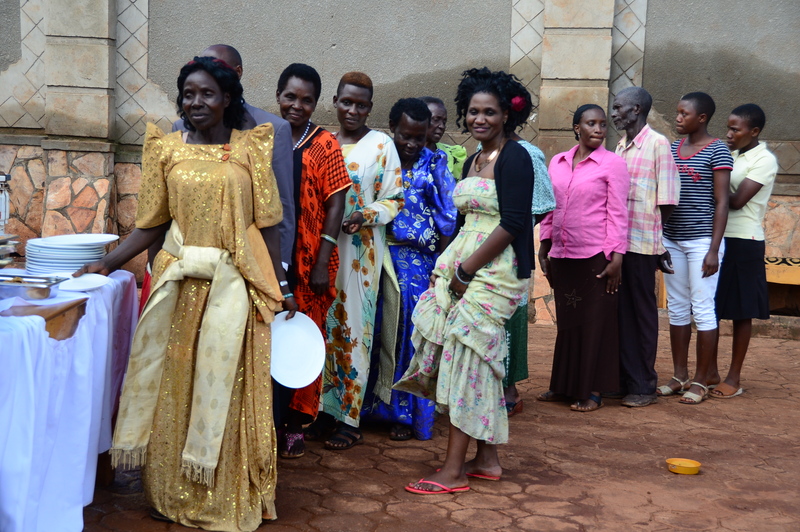 We really hoped to partner with an established organization based in Uganda. We started this way and ended up in fraud court after learning thousands of dollars had been misused. And I saw clearly how destitute children were robbed of the help promised to them. 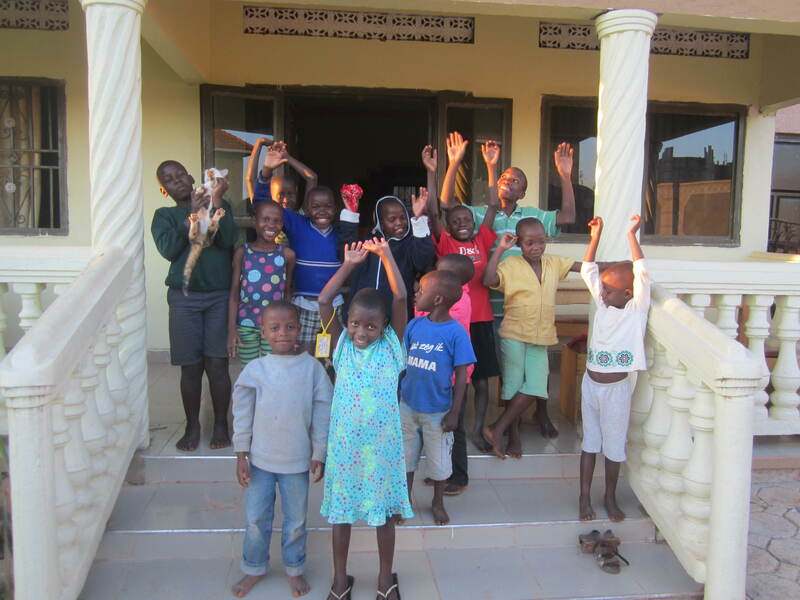 We had two choices, we could quit, or we could open our own organization in Uganda and protect our funds to make sure funds raised reached the children who needed the help. This is harder to do than anyone would ever imagine. The concept of accountability with finances is not universal. We had to painstakingly teach it, implement it, and maintain it. But we are doing it. And dare I say we are doing this very well? I dare say. Why is this possible? We trust God to provide for these children. We trust God will speak to the hearts of people who want to help orphaned children have opportunities in life to meet their God given potential. And we protect the resources to make sure they get their needs met. We train the staff God’s way to parent. We try to keep the work small, simple, deep and effective. We gave new bibles to the community children. Our hopes and goals for these children are that they will be the original seeds that will grow a forest of God’s ways as they reach out to the generations in front of them. So “happy Anniversary” Kirabo Seeds. 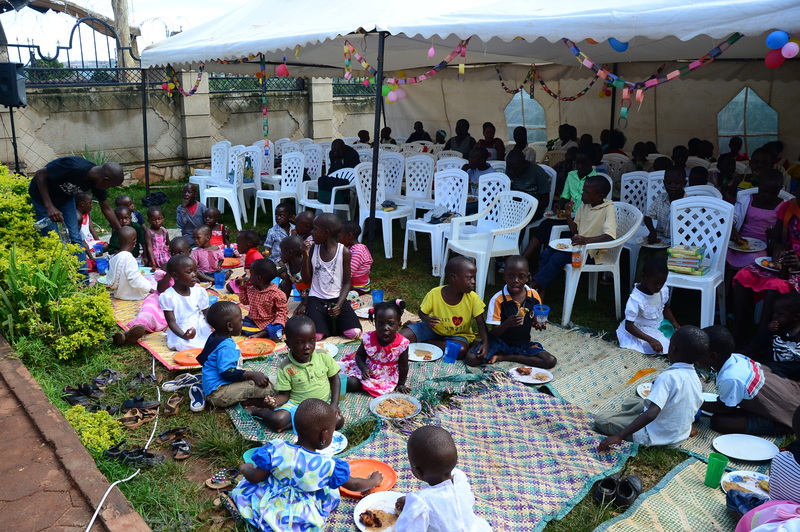 We hope to accumulate many more years in service to God through orphan care. 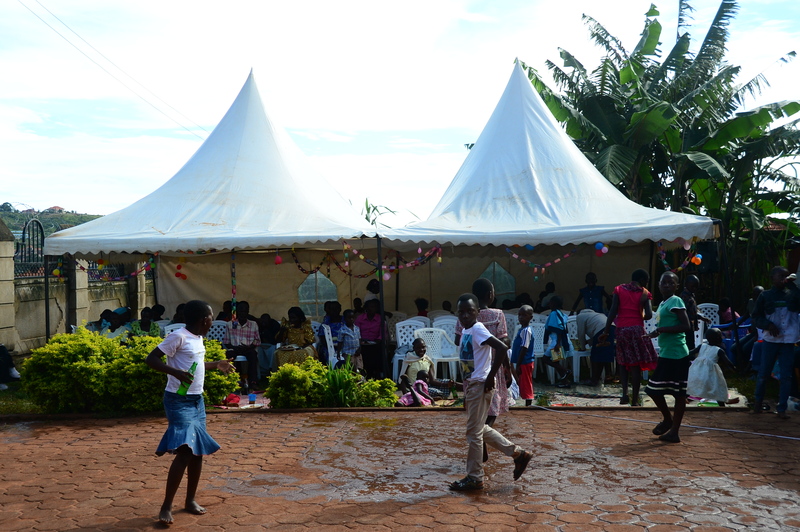 On the Saturday during my visit in Uganda we threw a big Anniversary party. We hired tents, and caterers. The food was local, arrived only one hour late and punctuated the event as a true party for all who attended. 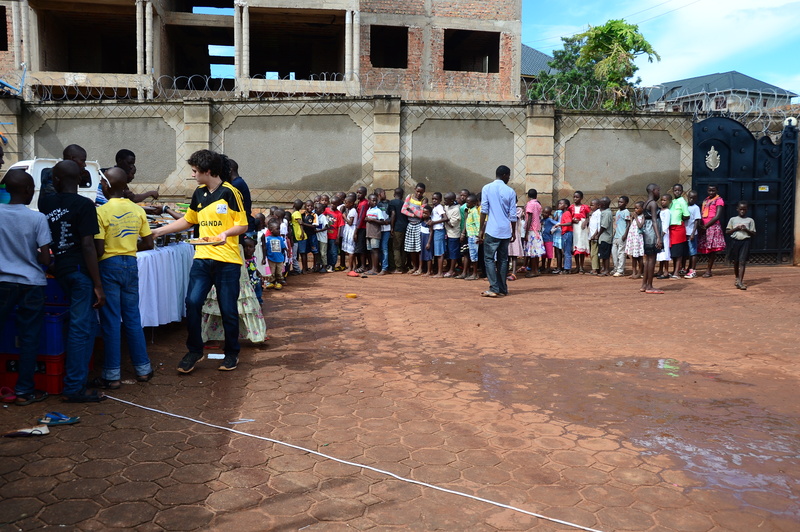 We invited the jjajjas and Aunties as well as all the neighborhood children who have attended our monthly outreaches. We also invited the parents of the children, though only a handful attended. Our kids sang worship songs, Dickson shared a message from the bible, Kenny shared the gospel, and several of our children gave testimony of their lives before and after Kirabo Seeds. Then all the jjajjas, Aunties and Uncles took the microphone and made speeches. Everyone says about the same thing but no one can resist making a speech. We ended the day with games for the children and a dance contest. 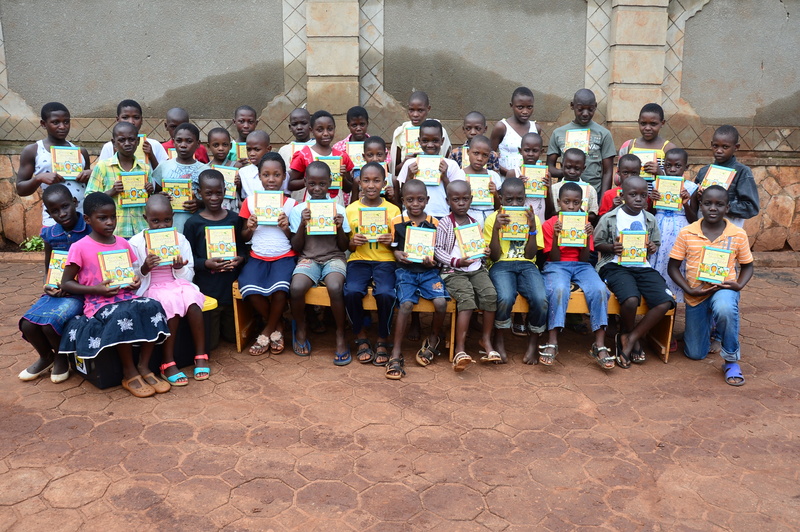 thank you to all who have given bibles to these kids! The best part of the party was when we selected the 37 children who were most faithful participating in our Saturday Outreaches and we presented to each of them a bible of their own. They loved it so much! And those who didn’t get one were so offended. It’s not usual to get some thing free and have strings attached. Everyone expects something if things are being given away. Well, at Kirabo Seeds we believe in rewards, not free “goodies” brought from America distributed randomly. 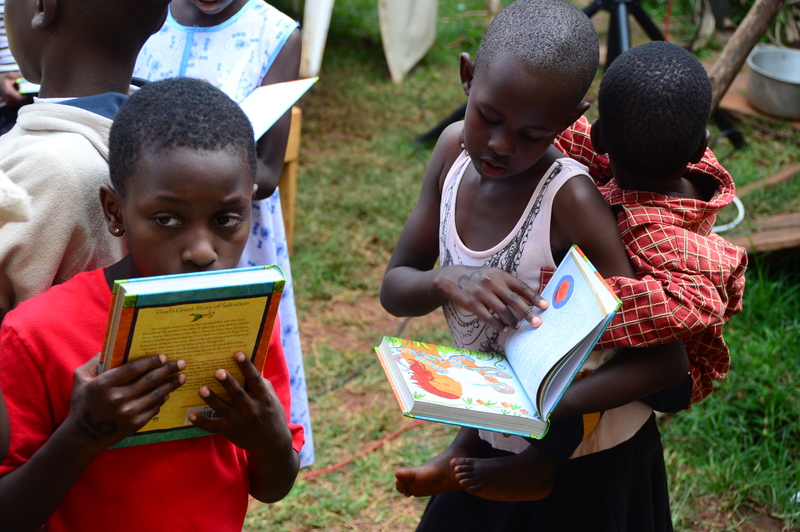 It was my heart’s delight to see the children all through the party looking at their own bibles and studying each page. We collected a hundred bibles but for this trip I could only fit 37 in my suitcases. Next time we’ll bring more. 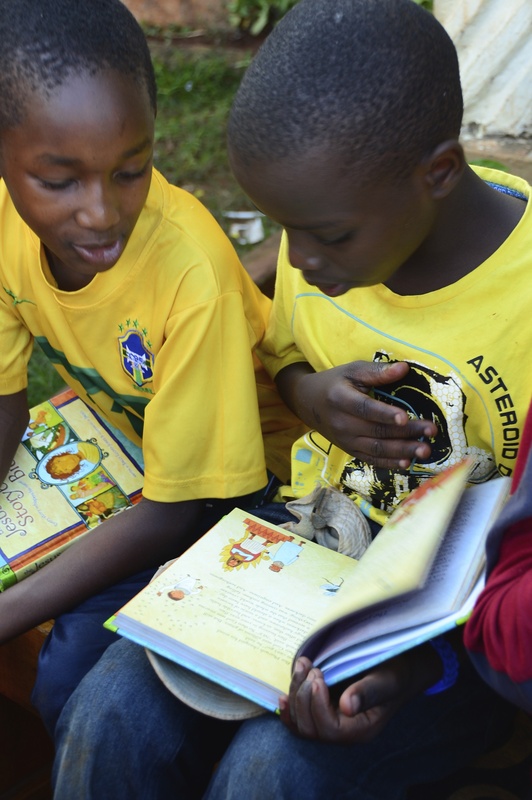 And we will always be collecting children’s bibles to share with the community children. 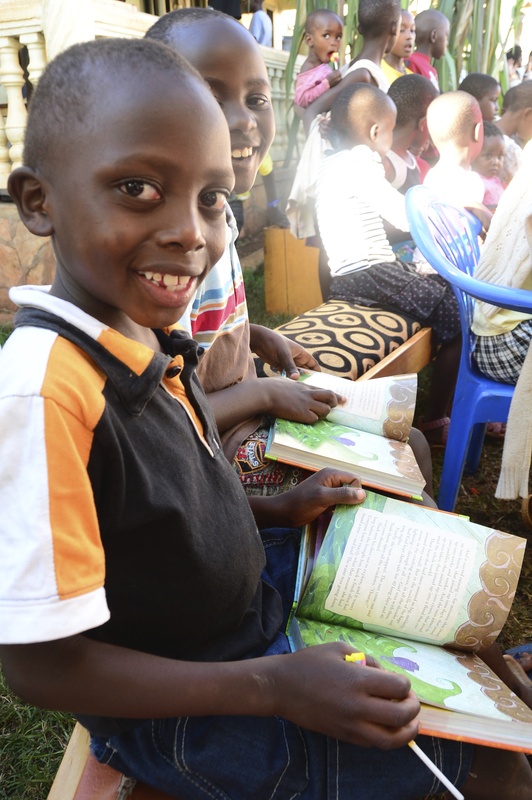 A big THANK YOU to all who helped a child receive their own bible. It was a happy day for all.